Who are we? We are financial advisors in Novato, Marin County and the San Francisco Bay Area. We provide services ranging from investment management to estate planning. To see a list of all of our services, check out our services page. Our Mission: Bringing experience and professionalism to empower you to live the life you’ve always dreamed of, free of financial burden. 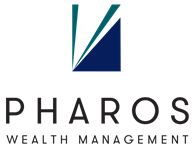 Pharos Wealth Management is a firm founded on principals that are solely focused on helping you pursue your financial goals. The term “Pharos” describes a guiding light. The firm was formed because of a realization that real people need practical help to navigate the seemingly confusing, opaque world of investment. Pharos is your guiding light. Our passion for the world of financial management is directly channeled into helping individuals just like you. With a focus on transparency and trust, Pharos helps affluent families and individuals, members of the LGBT community, and other high-net-worth clients. It's our prerogative to help those that need and want our help in dreaming, planning, and pursuing their financial goals.